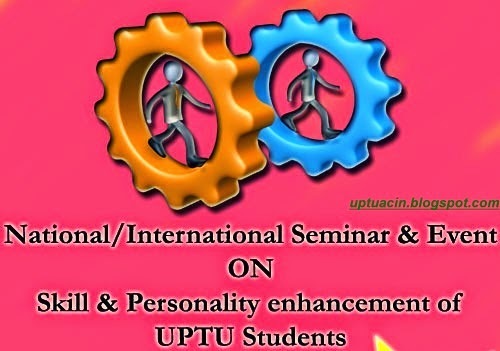 UPTU (Uttar Predesh Technical University) is going to organize a series of National/International seminars on skill and Personality Enhancement with collaboration with Confederation of Education & Excellence. Intel-National Level Cyber Olympiad:- An IT Talent hunt organized by INTEL on 20th Dec. 2014. This Olympiad Test can be conducted as both online/Offline into the campus. MIT-Pune (Good governance and leadership skill seminar & talk show) Starting on 3rd Nov. to 30th Nov. Certificates to all student by MIT Pune & Rewards and recognition to shortlisted students.